Picking flooring requires a fair bit of researching costs, installation times and the need for cleaning and maintenance. Below is our guide on three different kinds of floorings and how they differ in their need of maintenance. Woven vinyl flooring, like our Bolon flooring, has become the solution for many designers and architects where durability and ease of maintenance are equally important as style and look. Stains on your woven vinyl flooring? No drama, all you need is a bit of paper and a cloth soaked in warm water. With a vacuum cleaner, scrubbing brush and stain remover, 99% of cleaning needs can be accomplished. How come? Well, since dirt isn't allowed into the carpet backing (as it acts as a surface barrier) – vinyl flooring is really easy to clean. Read more on low maintenance flooring and the hygienic factor in this blog post. Woven vinyl floors should be deep-cleaned once in a while. Especially if the flooring has been badly maintained or has become extremely dirty for another reason, then it can be restored to an almost new condition by way of using an Orbot machine and warm water. On the most difficult areas, an all-purpose cleaner with a pH of 9- 11 will do the job. Get more detailed information about deep cleaning woven vinyl flooring here. Don't use cleaning agents in a wax base. Stick to water, a scrubbing brush and the occasional cleaning with an all-purpose cleaner. The best way to keep your carpet clean on a day-to day basis is, of course, to walk without shoes but also to avoid walking barefoot (if you can resist). Human feet have natural oils that rub off the carpet and those oils act like a dirt magnet, and therefore it's a good idea to always wear slippers or socks. 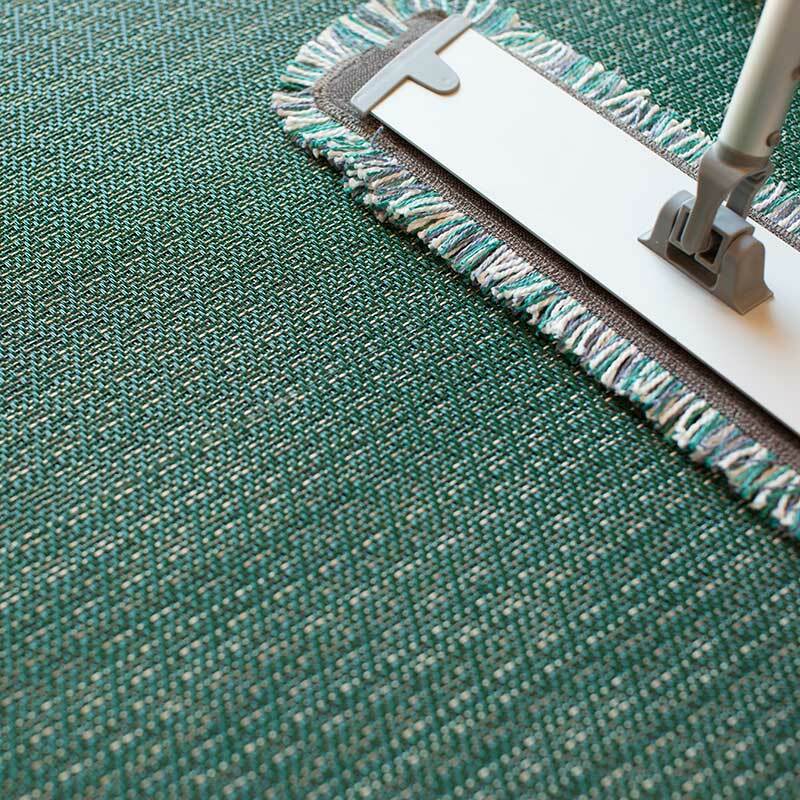 Textile carpets do require a lot more vacuum cleaning than both wood and vinyl. Vacuuming your carpet every second day isn't a bad idea. Change the filter of the vacuumer every six months to make sure to avoid blowing pollutants back into the air. How often the carpet needs to be cleaned depends on how heavily trafficked the area is. 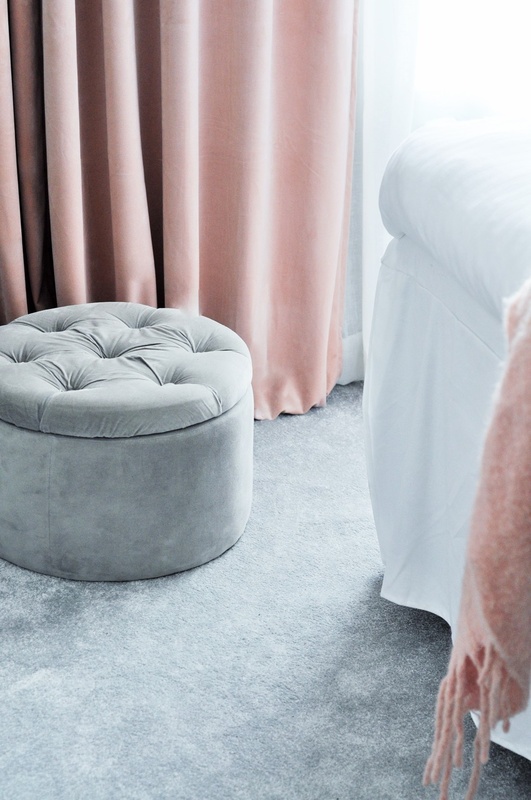 As carpet are like sponges and absorb dirt that you can see as well cannot see – it might be a good idea to hire a professional cleaner to thoroughly steam the carpet yearly. Never let stains on textile carpet set in – clean up immediately. If you happen to spill a glass of red wine (which is every carpet owners nightmare...) on your creamy-coloured carpet, use club soda to blot the affected area with a white cloth or a white napkin. Often quoted as the king of home-flooring choices, hardwood is both durable and flexible, as it allows you to choose a finish that matches your taste and decor. Plus, it often looks better with age – if you take good care of it. Hardwood flooring only requires sweeping or vacuuming and an occasional cleaning with a wood floor cleaner. As dirt, oil and grime will build up over time, hardwood should be deep-cleaned once in a while. First of all : Get rid of large particles of dirt. • Use a pH neutral cleaner and avoid too much liquid on your floors by using a fine spray mist. • Use a microfiber mop to clean as they don't leave excess water on your floors. Hardwood floors are both homey and classic but do yourself a favour and don't choose hardwood floors for all areas. While it makes sense to install hardwood floors in most areas, hardwood is not a good choice for any room that frequently gets wet such as the laundry room or a bathroom. 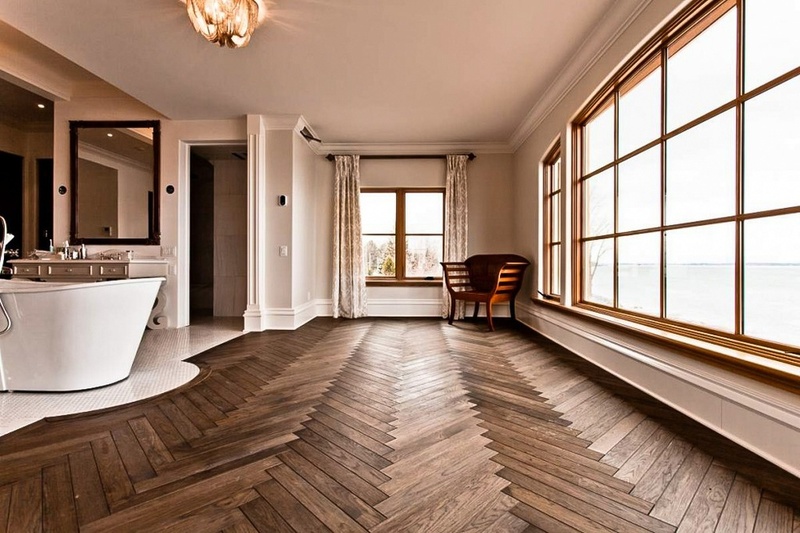 Although all these floors are differ from each other, there are some basic things that goes for all kinds of flooring. - Clean regularly – Don't let too much time pass in between cleaning your flooring. Especially if you have pets, as it's impossible to avoid dogs and other animals to carry with them inside lots of dirt and dust during the fall and winter season. - Get a doormat. This small addition to the entry of a home or a building could actually have a big impact. Using doormats at entranceways can be very effective in reducing dirt and dust. - Protect your flooring from all kinds of liquid. Spilled liquid on your flooring? No drama but it's crucial to have a habit of wiping up spills right away. Some love and daily care of your flooring goes a long way. With proper maintenance, your floors will retain its beauty for many years to come.